Start your trip to Evora, 08, Portugal | Travel Expressions Ltd.
Évora is a city and a municipality in Portugal. In the city's historic center stands the ancient Roman Temple of Évora (also called the Temple of Diana). 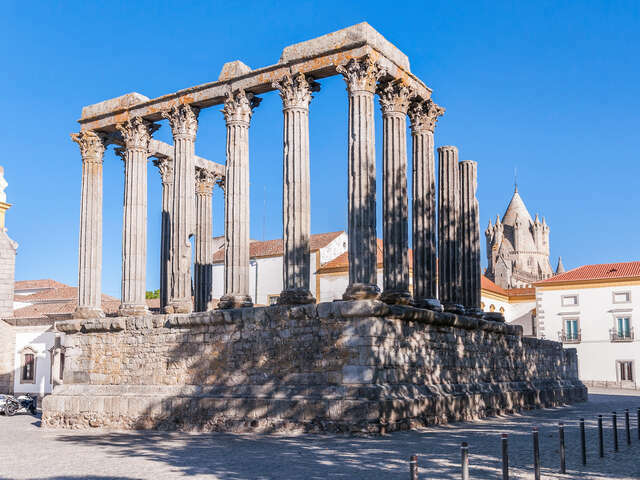 Due to its well-preserved old town centre, still partially enclosed by medieval walls, and a large number of monuments dating from various historical periods, including a Roman Temple, Évora is a UNESCO World Heritage Site. It is also a member of the Most Ancient European Towns Network.